Enjoy the top 1 famous quotes, sayings and quotations by Tom Fletcher. The penny dropped. I sat in my room and burst into tears. Our band had barely begun, and already our drummer and bass player were a couple of drug fiends! 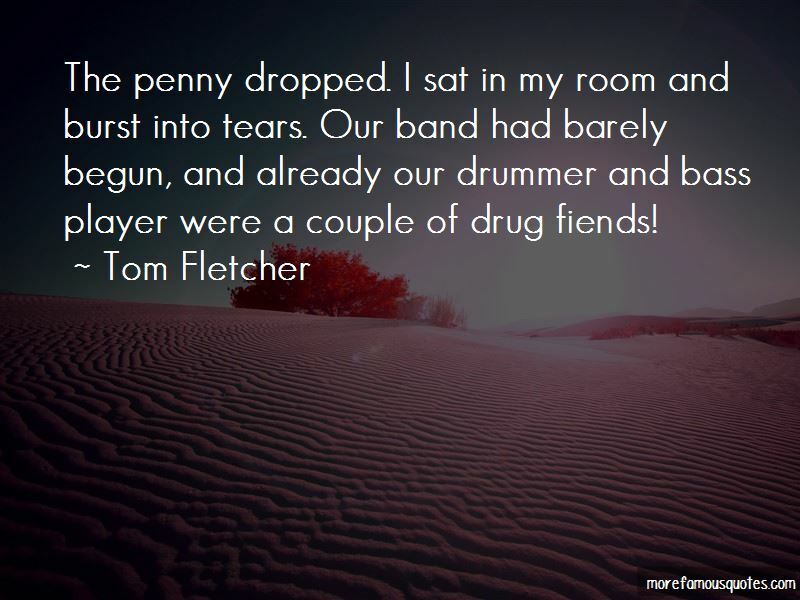 Want to see more pictures of Tom Fletcher quotes? Click on image of Tom Fletcher quotes to view full size.